When you are looking for a new or used car for sale in the Tacoma, WA area, look no further than the Olympia Automall. We're not like other car dealerships in the area. When you walk through our doors you will experience something you won't find anywhere else. We have the largest inventory of new cars for sale in Tacoma and we carry an impressive selection of carefully selected used cars as well. We are the leading Tacoma area car dealers and our goal is to provide you with a world class experience you will never forget. A car buying experience you'll tell your friends about. Purchasing a vehicle is a daunting experience. There are so many choices make, model, options, and financing and are you considering a trade-in? Come in and tell us your needs and how we can help. No pressure; just straight talk, fair pricing, and sales without the hassle. We put you first from start to finish and we'll make sure you leave with a smile on your face and keys to the perfect car, truck, or SUV in your hand. What sets our award-winning dealerships from the competition is the caliber and quality of the people here. They love what they do and strive for nothing short of excellence in service. You can count on us to listen to your needs, offer fair pricing, and give you peace of mind knowing you can trust the Olympia Auto Mall find the best used or new car in Tacoma for your family. 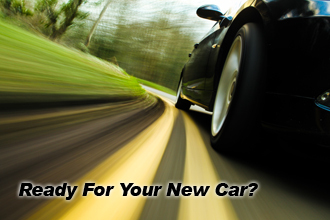 Check out best new inventory and used inventory Tacoma has to offer on our website. Even better, drop by and talk to our expert staff in a warm and friendly environment at the Olympia Auto Mall. We're located at 2125 Carriage Drive SW in Olympia, just off I-5. Come on in and we'll help you find that that perfect car, truck, or SUV. You will love our vast selection, our superior service, and low prices you won't find anywhere near Tacoma. Click here for a map and directions.